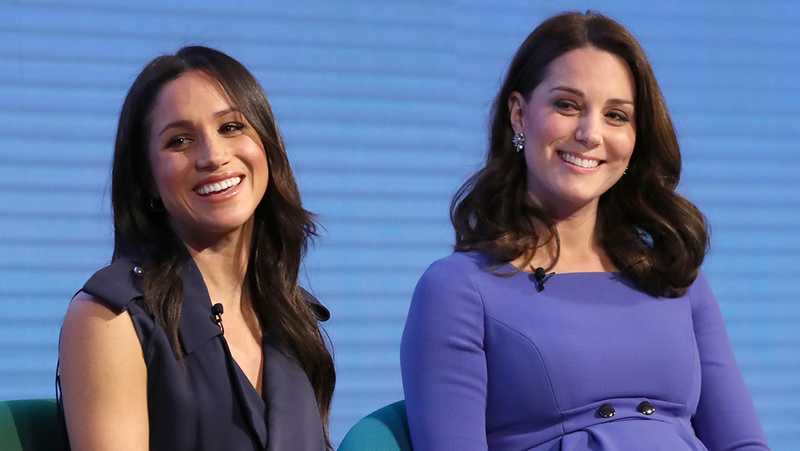 Why does Meghan Markle have to curtsy for Kate Middleton if they're both Duchesses? She may have had the perfect fairytale wedding, but Meghan Markle doesn't have the same freedoms she used to now that she's the Duchess of Sussex. What she does have is a long and bizarre list of rules she will be expected to follow to the letter, as royal protocol dictates. Despite the fact both women are Duchesses, Kate's marriage to William - future King of England - means she out-ranks Meghan in the royal hierarchy. In fact, Meghan will be expected to curtsy before any woman in the family that has a higher standing than her, but it depends if she's with her new husband or not. Meghan will be expected to curtsy before all Princesses, including Eugenie and Beatrice, who are much younger than her. That's unless she's by Prince Harry's side, in which case the pair will be considered superior. Sorry, Suits fans, selfies are out of the question - apparently because it is disrespectful for anyone to turn their back on a royal - which would make selfie-taking impossible. The only acceptable place for any leg-crossing in public is at the ankles. In the lead-up to the Royal Wedding, Meghan was seen replacing her casual sitting-style with the trademark 'Duchess Slant' that Kate Middleton adopted from the late Princess Diana. The risk of food-poisoning with eating shellfish was traditionally too high for royals to partake. While the rule has been somewhat relaxed over the years, the Queen sticks to it - and it's best not to argue with your new grandma. Only natural colours will be tolerated on royal fingernails, with no dark or brightly coloured hues allowed. Meghan has stuck steadfastly to this rule so far, wearing the Essie shade 'Ballet Slippers' on her big day - which, according to Marie Claire, is the only shade The Queen has worn since 1989. The American actress-turned-Duchess has already broken a few rules during her time courting with Prince Harry. She wore bare legs for her engagement announcement, which is forbidden, even in summer. She also wore a cross-body handbag and ripped jeans during outings with the Prince - both fashion statements which are considered inappropriate by royal standards.